This February I attended a movie screening at a small cinema in central Gothenburg in Sweden. The movie shown was BIG BOYS GONE BANANAS! * (2012) by Swedish director Fredrik Gertten. This film is a true and thrilling story that reveals how far a big corporation is willing to go in order to protect it´s brand even if it means putting the freedom of speech at stake. The media plays an important role in how people understand the world around them. Ideology, values and beliefs are reinforced through media content every day. However, the media content has always been filtered and sourced. Thereby it is important to discuss and understand the shaping of media content. Here it is vital to consider, not only the content itself, what is shown on the news, what you can read in the paper or what´s shown in cinemas, but also what has been left out. The importance of this discussion lies within democracy and freedom of speech, as media organisations often claim to be an independent counterweight to the ones in power. About a year ago I wrote an essay discussing how inequality of wealth and power in society is affecting the media content. To do so, I used the Propaganda Model originally developed by Herman and Chomsky (1988). The model outlined presents five filters to describe how media content is being manipulated and controlled by the dominant elite in the society to enforce systematic propaganda. Even though developed more than two decades ago the model is still relevant to discuss in relation to contemporary media events. In my former essay I discussed the model in the light of new media technology that creates new platforms of media production, which helps the emergence of a powerful alternative media. I however also got to the conclusion that new technology also create concentration of power and give the dominant elite more power to control the mass media. When I this February went to the cinema, this discussion turned out to be more relevant that ever. I will now present the case of the documentary BIG BOYS GONE BANANAS! * (2012). Two filters of the propaganda model are especially relevant in relation to this documentary. The first one is “sourcing mass media news” which highlights the dependence media organisations have by powerful sources. These sources often meet the media with PR strategies to control information. The second is the filter “flak and the enforcers” that refers to possible negative responses that comes after a media statement. These responses can be in form of for example phone calls, legal actions and letters. According to the model these two filters is used by powerful organisations and corporations to control media content. The documentary I saw this February is about the dramatic events surrounding the release of Fredric Gerttens previous film BANANAS! * (2009) which is a documentary that portrays a lawsuit against Dole Food Company brought forward by Nicaraguan plantation workers. What follows is a thrilling story about how Dole claims the documentary BANANAS! * to be a fraud and use PR scaring tactics and threats of legal actions to control the media and to stop the documentary from being shown. All events; letters, phone calls, skype conversations, interviews, news articles etc. are documented by a camera. It is this material that eventually will become Gerttens new film BIG BOYS GONE BANANAS!*. This film shows how Doles lawyers and PR-agency work intensively to stop the release of the documentary BANANAS! * and does so by diminishing the credibility of the film. They contact journalists, Swedish as American, who are writing about the story, they threaten to sue film festivals showcasing the film and they file a defamation lawsuit against the director, the producer and the production company of the film. Dole claims that the movie is a fraud, a claim that is certainly interesting, since the persons behind the threats had not seen the movie at the time being. Many journalists caved in for the threats and told Dole´s story in the news, even though most of the journalists had not seen the movie either. However, people supporting the film did not give up without a fight. They are giving interviews via traditional and new media, travels around talking about the movie and in social media the discussion is growing intensively. There is one fascinating story about a blogger who takes action when he realises that one of the big fast food chains in Sweden MAX is selling products from Dole at the time being. In his blog the person posts a picture of a fruit salad from Dole that he had bought at MAX with a big “no entrance” sign over it. He also writes e-mail to MAX stating how outrageous it is that they serve products from Dole. 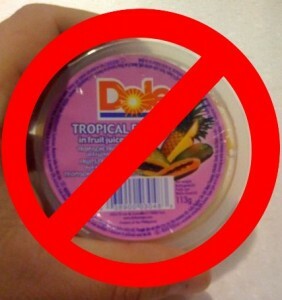 In response MAX decides to boycott Dole´s products. Later that year, the support for the film is growing, especially in Sweden. The documentary is shown in the Swedish parliament and discussed in the government. After the screening the event got a lot of attention in Swedish media. Fifteen days later, Dole withdraws the lawsuit, stating it´s because of the concerns about free speech that has been raised in Sweden. However they still claim to believe in their case. This documentary is an interesting case when it comes to freedom of speech and is a good example of powerful sources in society are trying affect the media content so that it serves the end of their interests. Dole, in this case, uses both of the filters from the propaganda model described above. New media technology is even making it easier for the company to affect the media content more efficiently than before. However, new technology is creating platforms that are making it possible for journalists and dissident groups to make their voices heard in the media. Nevertheless it was not until the documentary was discussed in the Swedish parliament that Dole started to back out and the documentary got more credibility in media. This shows that powerful sources still play an important role when creating media content. Though this story ended well, it is important to continue the discussion on what is affecting the creation of media content and how new media technology can be used in the development of an alternative media. Then in the future, maybe this alternative media can be a counterweight to the traditional media, producing news outside the organisational structure.